Welcome to Gypsy’s capital of the world! Huge district is inhabited exclusively by representatives of this nation, at that, the most civilized ones, as they call themselves. 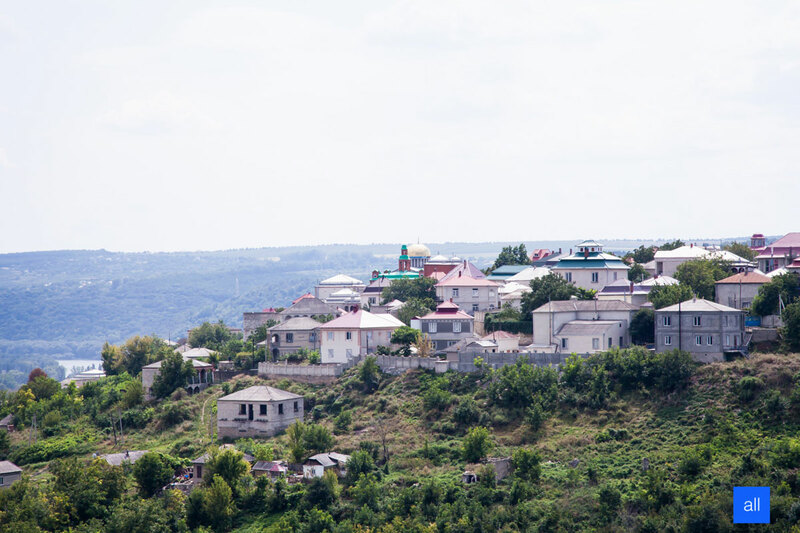 This location lures all guests of Moldova as if its dwellers, which possess Gypsy magic, charm visitors. Some guests are even unable to comprehend that all luxurious mansions and villas that resemble buildings of some sort of elite out-of-town settlement, are in possession of Roma. As to residents, who wear golden earrings, red shirts and variegated skirts willingly – they gladly receive travelers to help them take a plunge into own way of life and habits. For “crossing a palm with silver” you’ll be fed, told happy fortune and even introduced to baron of Soroca and All Moldova – grey-bearded Arthur Cherare. 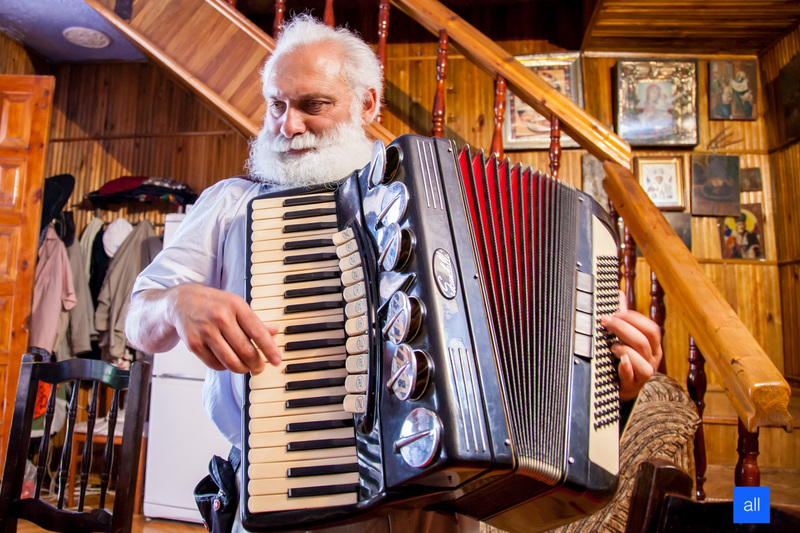 In good humor and given lack of “state” business he will gladly have a chat with tourists and may even raise “Gelem, Gelem” to own accompaniment on button accordion. Gypsy district, spread out on a highland, is called by Moldovans with far more modest dwellings, situated in lowlands, Jingle Mountain. It becomes especially noisy in fall-winter times – period of weddings. Tambourines, coins and horseshoes ding almost without a break to create mixture of various rhythms and melodies. These people celebrates weddings, as, admittedly, any other holiday, for long and on a large scale, gathering all relatives, friends, neighbors and their grandchildren to the youngest generation. When talking to locals there is don’t have to be afraid of becoming a victim of hypnosis and go home without earrings and money. 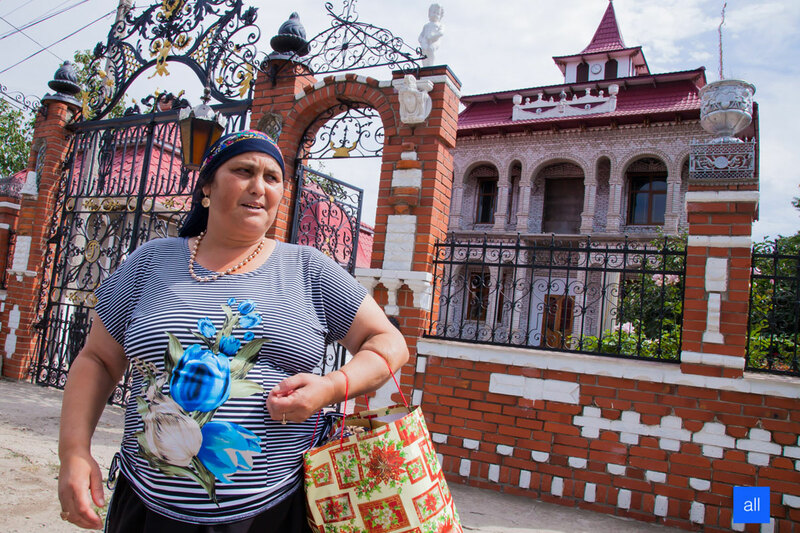 There is no use for wealthy Roma to illegally cajole valuables out of tourists because this means erasing all the color of the town and reviving belief about Gypsies being charlatans. It is also absolutely safe to walk along labyrinths of streets, eyeing buildings. No matter how hard you try, it isn’t that easy to distract attention from samples of local architecture. Being drastically different from modern Russian and European designs, they constitute something totally new and unusual for the eye. Numerous seemingly incongruous details: carved wooden frames, plastic balconies, colorful stained-glass windows and plaster molding… Such “vinegret” can be traced in design of almost every estate. 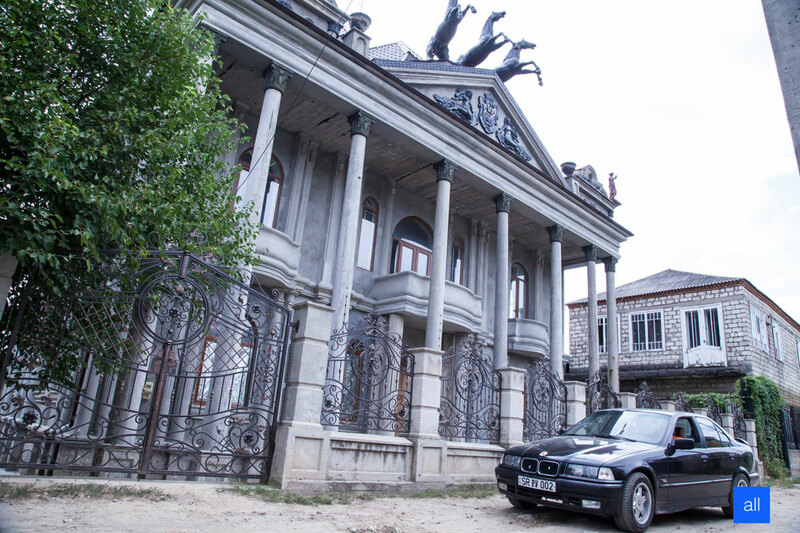 Should a European be the owner of such a mansion, he would be found extremely flashy but in the context of this culture everything looks very smoothly. Wealth of owners can be guessed based on works of local art of building. The higher the house – the more resources there are. Despite the fact that these people are famous for their friendliness, each tries to build own home at least a brick higher then the one of neighbors. By the way, piles of bricks, cement mixers, stone blocks and other repair attributes permanently reside by almost every house. You can’t but think: ‘What if it is an unconventional idea of landscape designers?’ But everything is much simpler: sly locals managed to get around a law here, too. In Moldova taxes are either not imposed upon unfinished constructions or are significantly lower. Therefore almost every one lives in “eternal building site”. The most beautiful, even stylish in European way, and almost sole finished residence is, of course, the one of baron. For-storied walls erected with red bricks are surrounded by solid forged fence. Behind it, in the yard, hugely expensive cars, that belong to either the king Arthur Cherare himself or other serious persons who come to the “capital” to handle “affairs of state”, constantly expect passengers. In honor of the 27th anniversary of the Independence of the Republic of Moldova in the Ukrainian capital, the embassy of this state and personally the Extraordinary and Plenipotentiary Ambassador Ruslan Bolbachan organized an official celebration.